Mercedes won't hesitate to initiate the "necessary evil" of team orders at the Japanese Grand Prix, despite the controversy surrounding their decision to swap Valtteri Bottas and Lewis Hamilton's positions in Russia. Hamilton qualified on pole in Suzuka, with Bottas alongside him on the front row, but the Finn can likely forget about any hopes of fighting his team-mate. With Sebastian Vettel starting eighth and Kimi Raikkonen a notoriously slow starter, it looks likely that the Silver Arrows will be able to control Sunday's race from the front – especially as they will start on the more durable soft tyres. Toto Wolff conceded that the team's plans in Sochi were thrown out by Max Verstappen's long opening stint and Vettel undercutting Hamilton – but hopes to be better prepared this time around. 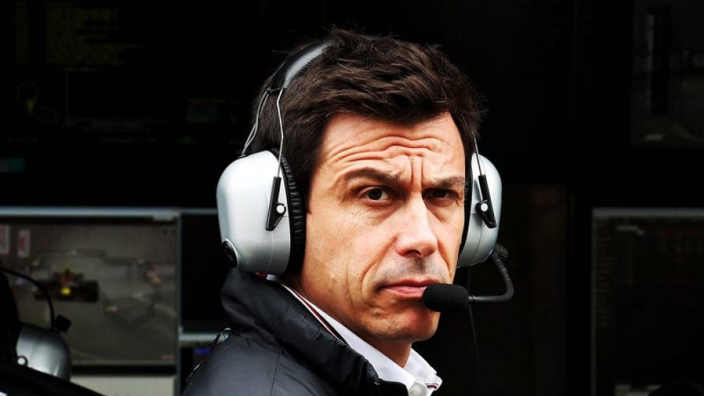 "I would want to keep the options open for tomorrow and see how the race goes, and not tend to believe, like we did in Sochi, that we can discuss every eventuality," Wolff said. "We are trying to learn. Maybe our discussion that we had on Sunday morning in Sochi was a good discussion but didn't consider the situation of us being under pressure in the way we were; in a sandwich like situation with Sebastian all over Lewis and Verstappen in the front. "It reminds you that the best plan doesn't survive contact with the enemy and that happened in Sochi. So the discussion is going to be a different one, leaving enough space to take decisions that might be a necessary evil. "The 50-point gap doesn't change anything. In 2007, two races to go, 45 points between the drivers - in today's points - and he lost the championship. Would anybody have thought you could lose 45 points in two races? Impossible. "Racing happens on Sunday and the quickest car doesn't necessarily win. We had the moment in the summer when we weren't the quickest car and we scored some victories. "I wouldn't want to take the foot off the pedal because a DNF in a freak race and it's all vanished. So our approach hasn't changed."